This contains of course only the work we've heard of and is not comprehensive. If you have published a paper using LIGGGHTS® or CFDEM®coupling results or want to share interesting reports, videos or pics, please contact us. What are the microscopic events of colloidal membrane fouling? 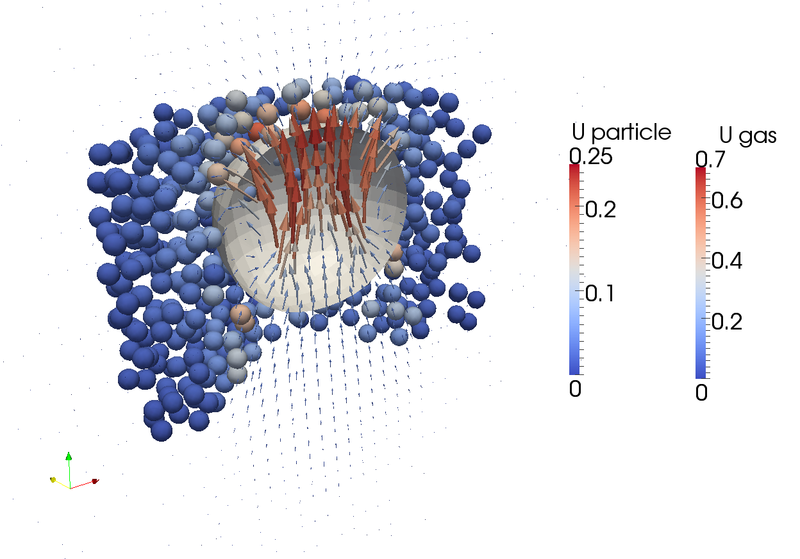 Heat transfer rates in sheared beds of inertial particles at high Biot numbers. 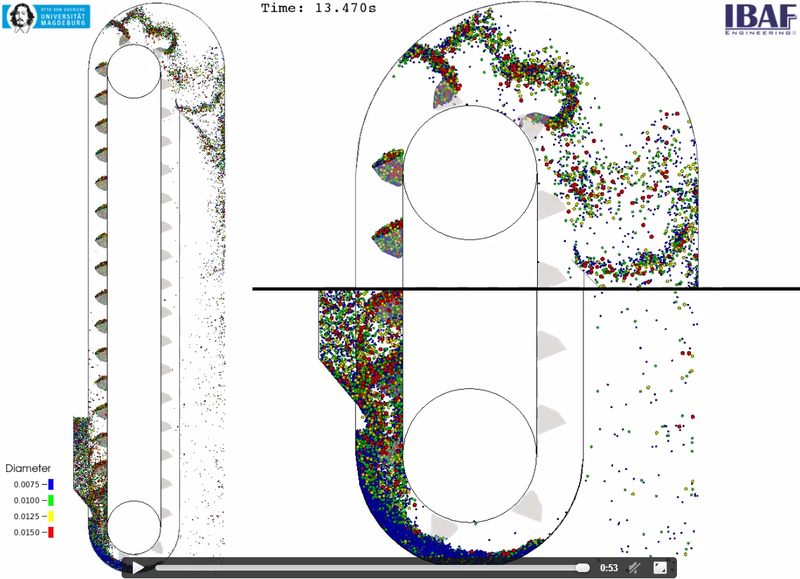 Extended CFD–DEM for free-surface flow with multi-size granules. Jing, L., Kwok, C.Y., Leung, Y.F. & Sobral, Y.D. International Journal of Numerical and Analytical Methods in Geomechanics, 2016 40(1), 62–79. DOI: 10.1002/nag.2387. Aycock, K.I., Campbell, R.L., Manning, K.B. et al. CFDEM®coupling has been applied by a group in Princeton University and Graz UT to study very large gas-particle systems: the study of Ozel et al. (Chem Eng Sci, in press; doi:10.1016/j.ces.2016.08.014) analyzed freely sedimenting particles in periodic boxes involving more than 31 million particles. 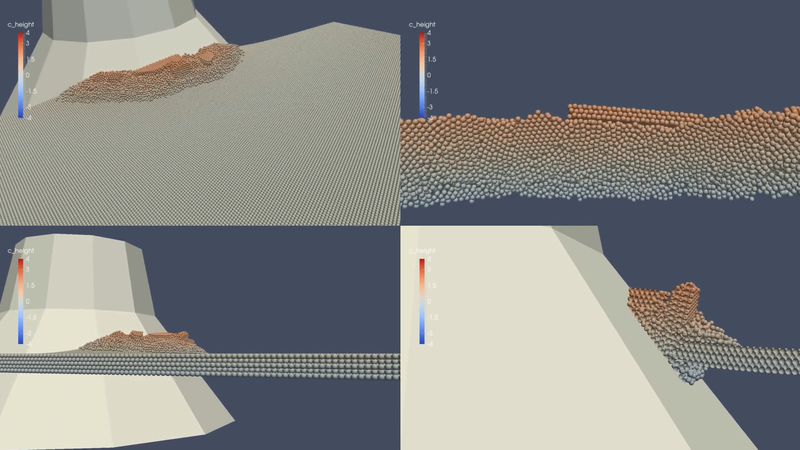 These are one of the largest CFD-DEM simulations ever performed, and to our knowledge the currently largest simulations in periodic domains carried out using CFDEM®coupling. 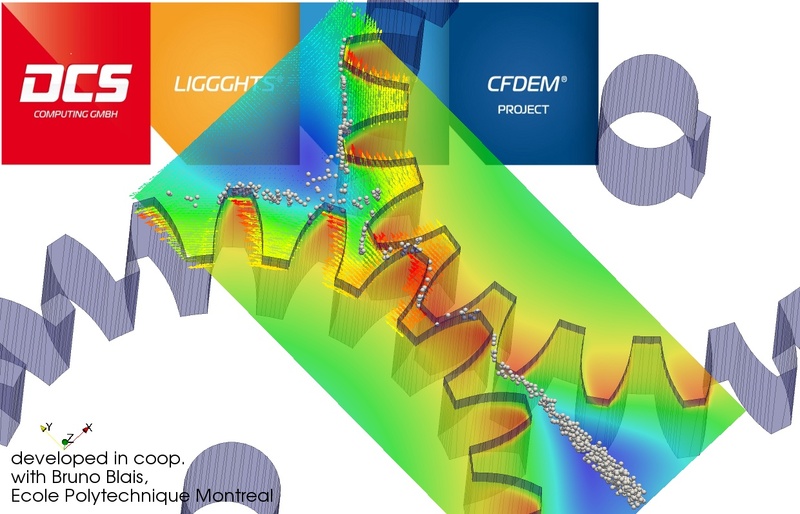 Congratulations to the group of Ozel for demonstrating the capabilities of their version of CFDEM®coupling! Figure copyright © 2016 Elsevier B.V.
David Morgan, Robert Sarracino et. al. Latest development of the NanoSim Project (TUG, DCS Computing, etc.) 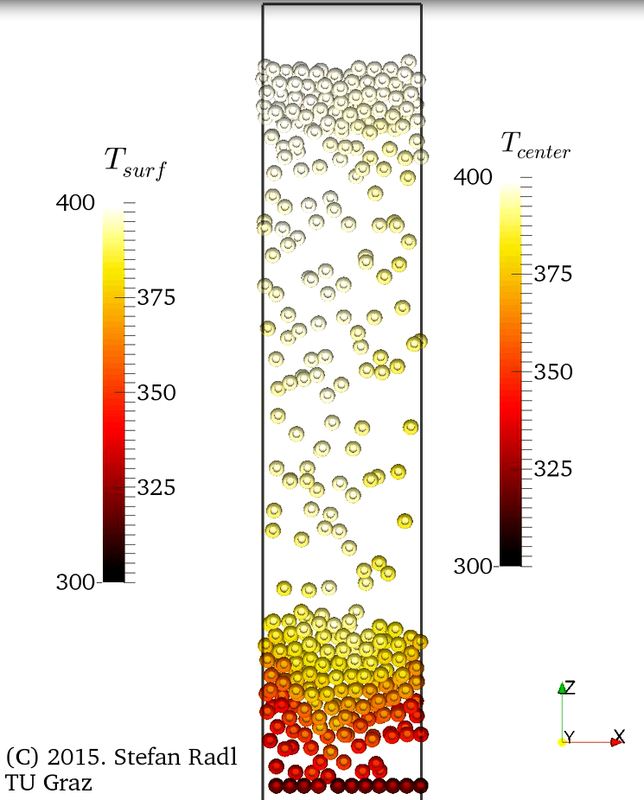 - 2D fluidized Bed with detailed temperature modelling inside the particles using ParScale®. Proc Natl Acad Sci U S A. 2014 Dec 23;111(51):18279-84. doi: 10.1073/pnas.1416252111. Epub 2014 Dec 8. Publication by Liu Cao et al. 2014. New geometry representation for complex motion. 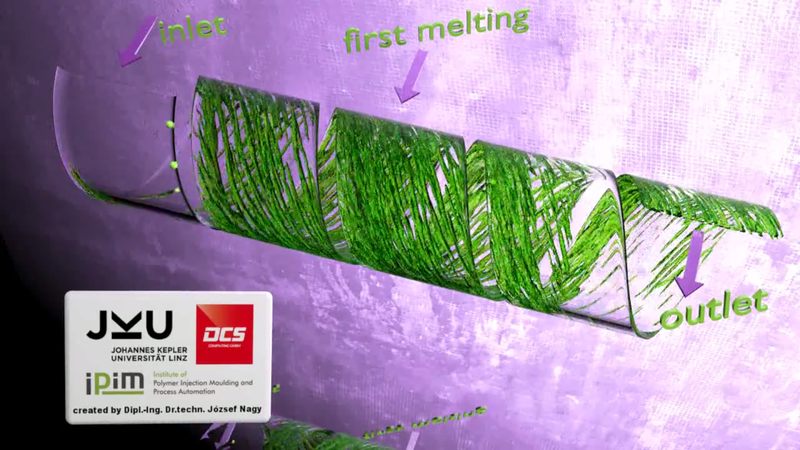 Some very nice new functionality has been developed at DCS Computing in cooperation with Bruno Blais. Proceedings of the Australian Society of Sugar Cane Technologists 36th Conference, Gold Coast, QLD. 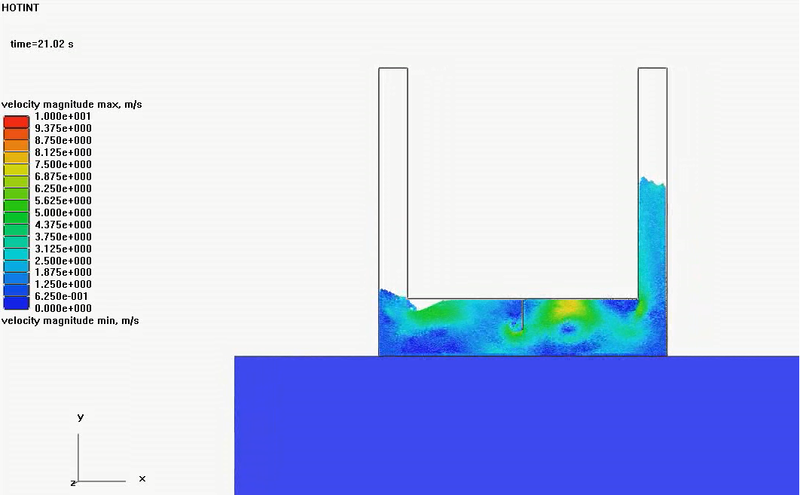 Numerische Simulation komplexer Partikel-Fluid-Wechselwirkungen in CFD und DEM: feuchte Kontakte und Sedimentationsprozesse in nichtnewtonschen Fluiden. Discrete Element Modelling Of Granular Snow Particles Using LIGGGHTS. A Computational Framework for Coupled Modelling of Three-Phase Systems with Soluble Surfactants. 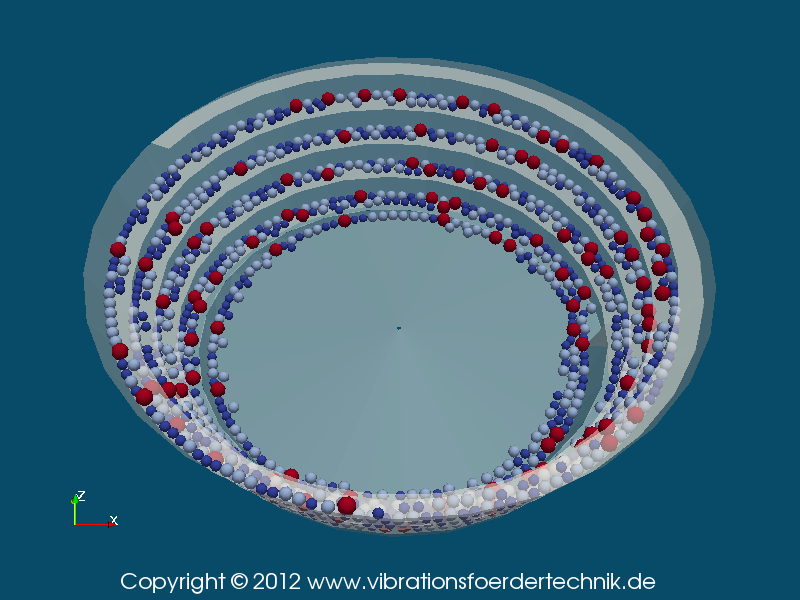 This is work by Niels Dallinger (TU Chemnitz) simulating a vibratory bowl feeder. 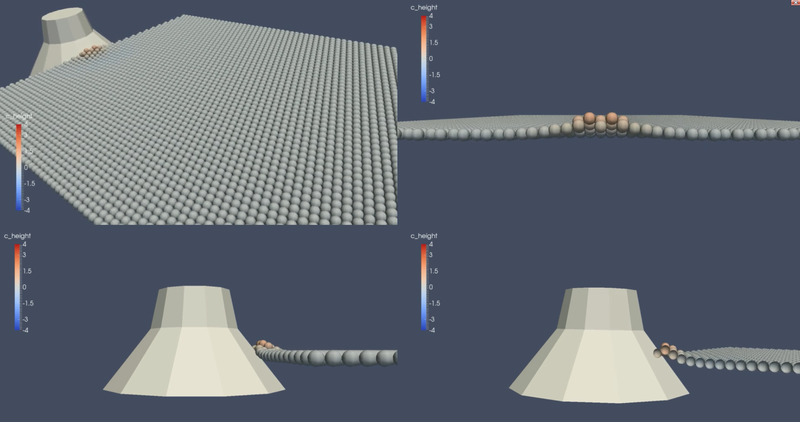 This is work by Michael Aigner and Klaus Straka (both JKU) simulating a screw conveyor. 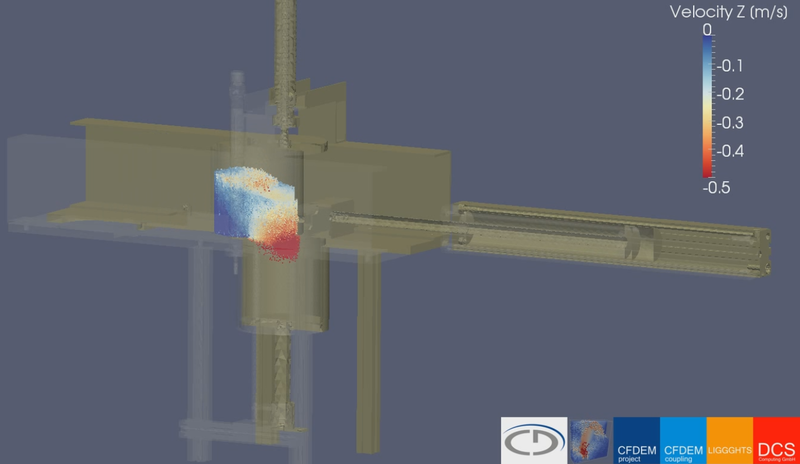 Michael Aigner (ipeb) and Klaus Straka (ipim) did simulations on a feeding zone of a single screw plastification unit. design involving two conveyor belts, a chute with lipliners, and skirts. 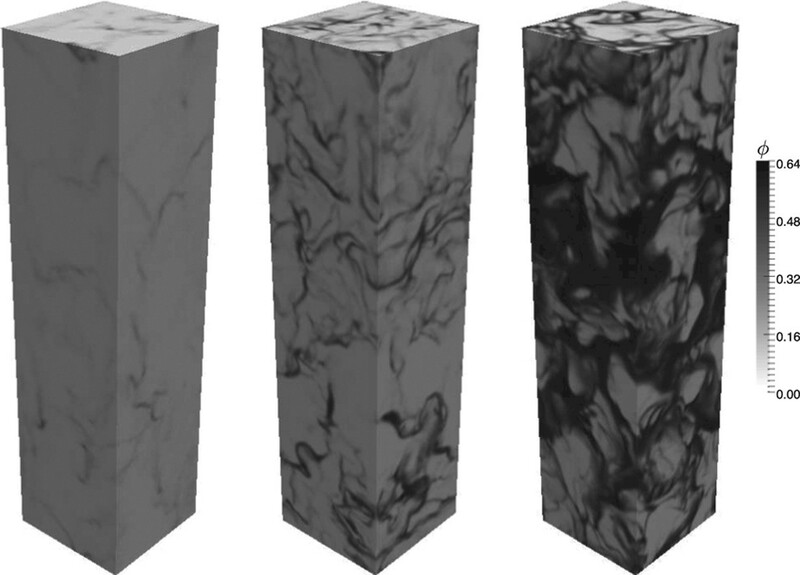 This is work by Plansee SE , http://www.plansee.com coupling LIGGGHTS to a FE code for the simulation of die filling.